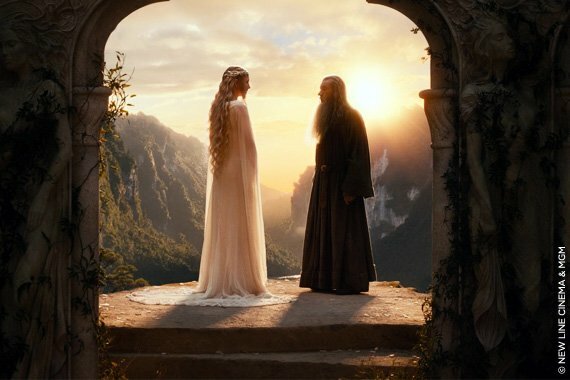 Meet the mind behind The Hobbit's amazing battle sequences. 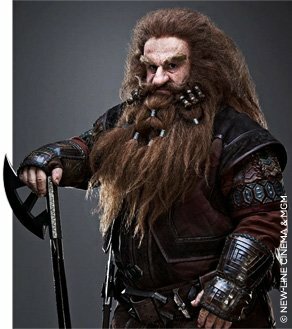 Steven McMichael directed the combat and crafted grueling workouts to ensure every dwarf and orc were up to task. Steven McMichael's official title on the three movies constituting The Hobbit is "Sword Master," which is the New Zealand film industry's name for a fight choreographer. But neither of these labels does justice to his responsibilities on the set of this long-awaited fantasy epic. 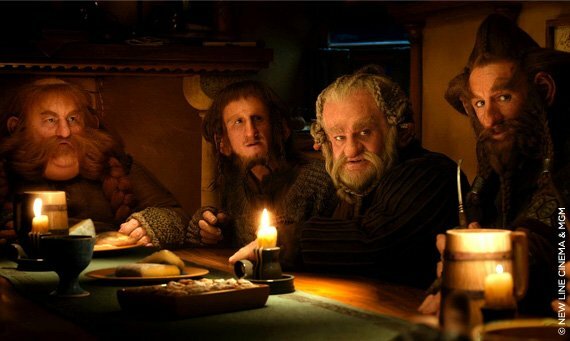 The former Marine and veteran competitive martial artist made sure the hundreds of actors, stuntmen, and doubles making up The Hobbit's cast were physically up to the task of slaughtering one another on director Peter Jackson's elaborate set. Aside from imagining and directing the fight scenes, he devised weapon-specific training centers and workouts for everyone from A-list stars to stand-ins without backgrounds in training or martial arts. McMichael had a long career as a stuntman, with credits on films including X-Men and i, Robot before a broken neck forced him to switch to stunt coordination a decade ago. 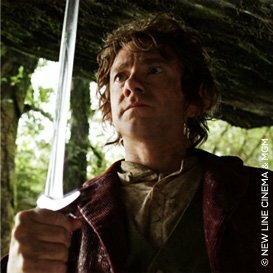 Today, he uses his training in Chinese wushu fighting to add a visual flourish to the brutal battles of Middle Earth. McMichael spoke with Bodybuilding.com from his home in Canada about the challenges and advantages of training inexperienced warriors, and offered us his preferred circuit to craft battle-ready dwarves and elves. If you prefer, call it the The Fili, Kili, Oin, Gloin, Dwalin, Balin, Bifur, Bofur, Bombur, Dori, Nori, Ori, and Thorin Oakenshield WOD. 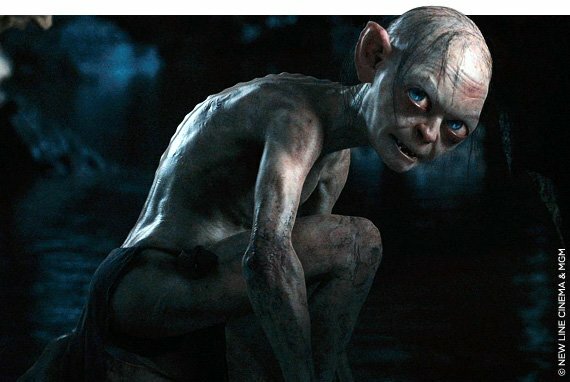 You trained The Hobbit's cast for a month in preparation of the climactic battle scene in the goblin tunnels. What physical standards did you require that somebody meet before you felt safe having them in such a fight scene? Muscular fatigue at the wrong time could be deadly. Yes, we did that, and it is. The biggest thing is that fatigue can set in. You have to understand, the actors costumes would weigh up to 60 kg (132 lbs). So the training we took them through far preceded the shooting of the movie. For three-and-a-half months, these guys did movement training every day. They would go through their basic warm-ups with the New Zealand stunt guys or Tim Wong, one of the stunt coordinators, and then I would lead them through conditioning with wooden swords. Not everyone had a background in martial arts, so at first I would say, "OK, do you play tennis?" If they said yes, I would take elements of tennis and put it into sword fighting. That way, they had muscle memory, so I knew the fatigue wouldn't happen as fast. I would run them through routines constantly, so they developed that muscle memory they could always go back to. That way, they could always be confident that, "If I swing here and I don't lollygag, the other guy has been trained to block like this." I would see the faces on these guys when we were training, and they got to a point where they just started to get it, and their hand would just pop into it. The big thing about choreography is that you don't want it to look like they are anticipating or pre-striking, so I would always throw in something different, so they could had to think on their feet. Toward the end, the flow was seamless. When you are working in a medieval style like that, what type of strength does that demand from somebody? Aside from actually having to figure out how to use a broadsword, of course. What is funny about it is that as far as strength, it was more the mental endurance needed to wear the suits. We tried to make it as comfortable as possible for them. Within our training sessions, we had built these guys up. By the time we shot the first battle scenes you see in the movie, we had been training with these guys for six months. As far as strength, we helped by giving them aluminum swords. We gave them techniques that would flow into one another, so they were not trying to do a dead hard stop unless the scene required it. I always said that you will always get the best fight scenes out of an actor, because they are portraying a character. When you are a stunt guy, you are still portraying a character, but you are not being filmed from the face—you're not trying to show the desperation on your face. So as far as actors go it is definitely more a question of conditioning. That's the best way I can describe it. Were you working with both the good guys and the bad guys, or just the stars? I was fortunate enough I got to work with every single person. Safety was paramount, and I had to teach the actors how to hit, because in a 3D movie I can't miss you—I have to actually make contact. So we devised a funny way of doing it. Even though we had hundreds of thousands of dollars of weapons made, it turned out that we went to a green screen element of a weapon, which would be an EVA foam stick wrapped with green screen tape. That was just so we could make contact in these massive battle scenes. At any one time in the Gates of Moria, which will be in the first movie, I had anywhere from 100-150 people on a 200-by-200 ft. square platform—and all these guys were using big, long spears. There were extras that I had to run through a crash course, the daily stunt guys, and all the actors who were involved in this. We had a big team down there to help me facilitate my vision—or what Peter wanted my vision to be—but I trained everybody. I'm proud to say no serious injuries occurred over 18 months of shooting. So from your perspective as choreographer, why do the orcs always get killed? What are they doing wrong? Leadership, man. It's all leadership. They are like a pack of wolves without an alpha male. That's the best way I can explain it. Why did you use CrossFit-style workouts on the set? Once we started shooting, it got harder and harder to get access to the actors for any physical training. This meant we were relying more on the training regimen they were doing during those first six months. So what we would do is just try to make stuff for them that was easily done outside their trailers, or maybe running from one side of the set or the studio and then back. We wouldn't have them doing the Bruce Banner, but CrossFit workouts provided us the opportunity to keep these guys' minds and health good. I'm sure there are a million heavy things to pick up on a movie set. Did you set up a gym, or was it more ad hoc? The good thing is that about a mile away from Stone Street Studios, our stunt team was set up in an airport hangar. We had a full-service gym in there, and we had another area where we did all our wire work for stunts, and we had wrestling mats. So we would do an MMA or jiu-jitsu sort of thing with these guys just to keep their minds fresh and mix it up. We would also run a lot of circuit training, either when I had access to these guys at the stunt hangar or when we went back on set. I would bring out some kettlebells or heavy balls—something that I could easily transport, or like you said, whatever was around. When you're on the set of The Hobbit, there are things that you can use that are Middle Earth heavy stuff. We'll just keep it at that. How would you fit this around the sheer volume of filming necessary to make three 2.5 hour-plus movies? Yeah, generally the way we had to do it was to go from a workout right to the set. I would go in at 4:45 in the morning, and we would train the stunt guys from, say 5:30 to about 8 a.m. We'd have about a half hour and then actors would start showing up, and we would hammer whatever actors we had available until about 11. Then we'd get called to the set, and we'd be on set for another 12 hours. If I had to shower in the morning, I used Dove Men+Care Fresh Awake to wake me up, and then I'd take a quick one later with their Clean Defense, just to get rid of the grime and the sweat of rolling on a mat with a bunch of dirty men. I'm the stunt coordinator, not a stuntman anymore; I had to clean myself up and not worry about how I looked or smelled. I imagine a lot of these actors have been trained so many different times, and in different ways, that it must be hard to surprise them. But when it came to the martial arts, grappling, and CrossFit, did anyone say, "Wow, this is something I've never done on a movie before?" I would say 75 percent of them said that. Honestly, I've never had to train people in this manner. We had our lead actors, like Orlando Bloom, all the way down to the last little dwarf, like Mark Cappo, who is a stage actor. And then we had our stunt guys and our stunt doubles, and then we had what were called our "scale doubles." These people were small in stature, and they come from all walks of life. They were lawyers, police officers, doctors; they worked at McDonald's, Starbucks, and so on. 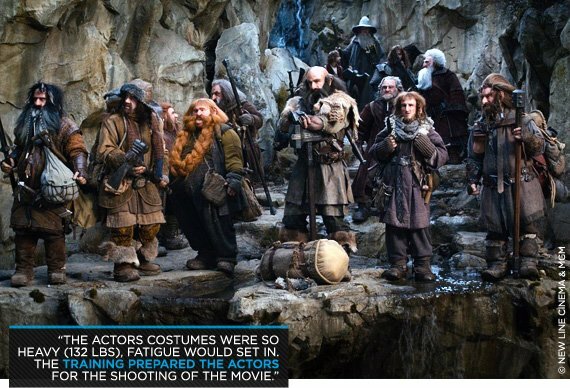 We had to show a big size differential between orcs and dwarves, so that meant the scale doubles were in there a lot of the time, and they had to learn and do exactly what the actors and the stunt guys did. Maybe 5 percent of these guys had a martial arts background, and one guy, Brett, had worked on The Lord of the Rings, so I could draw off his experience and teach these other scale doubles from scratch. That presented a unique problem. But in a way, this was a good thing. Being a former U.S. Marine, I know it is always easier to "break down" and train an untrained person than someone who has been doing this for years. So these guys came in, and it was trying for the first month, until we got a rhythm going and they started understanding the methodology. I think my proudest moment was when the scale doubles had to do their first fight scene. They were putting forth 100 percent, and yeah, they were getting spent, but they were out there battling. When I watch the movie and I see that first battle scene, I'm proud of how good these guys did. I honestly think everybody who trained there, when they reflect on it in the years to come, they'll say, "You know, the training is what got me through it." I'm still in contact with a bunch of the actors, and they tell me they're still doing the workout regimen. These are people who didn't do it before this show. They're going to a gym three times per week; their diet's better; they're eating healthier. I can imagine that your Marine background was pretty valuable, not only for training, but for being able to coordinate such a large and complicated project. Look, being a stunt man, you have to have some kind of military behavior because these are life-and-death situations. It is not for the faint of heart, and I don't think anything could have trained me better for the film industry or for being a stunt performer than the Marine Corps did. Place one hand on the ball and one hand on the ground. Do a push-up, switch hands, and repeat. Do a cartwheel over a standard cardio step. Hold at top of the motion in a handstand position momentarily. With a 30 kg sandbag on your shoulders. Do a side roll, get up, and repeat in the opposite direction. Throw the ball 12 feet high if using an 8-10 kg ball, or 10 feet high if using a heavier ball. Squat with the ball between each throw. Set up two cones, and run tape between them. Toss a heavy ball over, then hop over, back, over again, pick up the ball, and repeat.